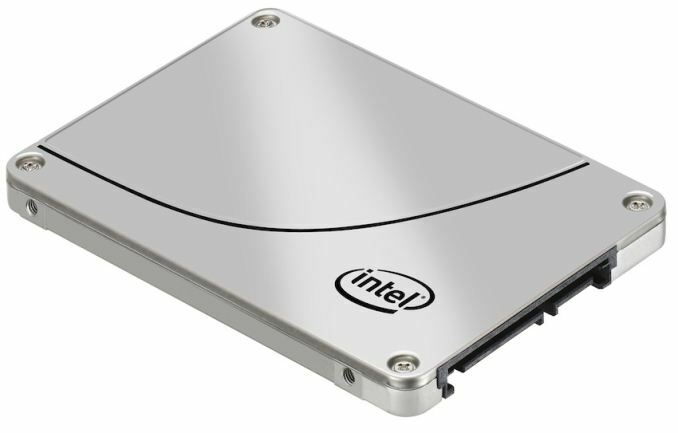 In February Intel refreshed its enterprise SATA SSD lineup with the DC S3610 and S3710 SSDs, but left the entry-level S35xx series untouched. That changes today with the launch of the DC S3510, which succeeds the popular S3500 that has been around since late 2012. Similar to its big brothers, the S3510 features Intel's second generation SATA 6Gbps controller that was first introduced in the high capacity S3500 models late last year. Intel has remained quiet about the specifics of the second generation controller (and the SATA 6Gbps controller as a whole), but we do know that it adds support for larger capacities, which suggests the internal caches and DRAM controller could be larger. The most significant change in the S3510 is the NAND. The S3510 switches to IMFT's latest 16nm 128Gbit MLC NAND node, which is a rather surprising move given that all Intel's client SSDs are still utilizing 20nm NAND. The reason lies behind the fact that Intel didn't invest in IMFT's 16nm node, meaning that Micron produces and owns all 16nm NAND output. Intel and Micron reconsider the partnership and investments for each generation separately and for 16nm Intel decided not to invest -- likely because Intel's focus is in the enterprise nowadays and 16nm is more geared towards the client market given its lower endurance, and Intel also wanted to concentrate more heavily in the companies' upcoming 3D NAND. That said, Intel and Micron do have strong supply agreements in place, which gives Intel access to Micron's 16nm NAND despite not investing in its development and production. I suspect the use of 16nm NAND is why the S3510 wasn't launched alongside the S3610 and S3710 earlier this year because validating a new NAND node is time consuming and might be that the 16nm node wasn't even mature enough for the enterprise back then. In any case, the S3510 is the first enterprise SSD to utilize sub-19nm NAND, which is a respectable achievement on its own already. On the performance side, the S3510 provides slightly better random write performance at larger capacities than its predecessor (you can find the S3500 specs here), but other than that the S3510 is a very close match with the S3500. Typical to enterprise SSDs, the S3510 features AES-256 hardware and full power loss protection that protects all data, including in-flight user writes, from sudden power losses. Form Factors 2.5" 2.5" & 1.8" 2.5"
The endurance is also equal to the S3500 and comes in at 0.3 drive writes per day for five years, which is a typical rating for entry-level enterprise SSDs that are mostly aimed for read intensive workloads like media streaming. For more write-centric applications, Intel offers the S3610 and S3710 with higher endurance and better write performance (but at a higher cost, of course). I didn't get the S3510 MSRPs from Intel yet, but I suspect that the S3510 is priced around $0.80 per gigabyte, but I'll confirm this as soon as I hear back from Intel. All in all, even though the industry is transitioning more and more towards PCIe and NVMe, there is still a huge market for SATA drives. Many applications don't necessarily benefit much from higher performance and especially hyperscale customers are looking at cost and compatibility, which is where SATA is still the king of the hill. So, looking at the old 3500 article, this does *not* look like an upgrade over the 3500s. "Up to" 68K reads vs 75K on the 3500. Endurance of 0.3 DWPD for an 800GB drive at 5 years comes out to 438TB... compared to 450TB on the 3500. I think that key here is the price. If the 3500 is priced insanely compared pretty much to anything else. As it reads in the article, being geared towards the enterprise, possibly, Intel felt they could charge as much as they wanted (we're talking nearly $1.5/GB! : ). Provantage now has the larger models in stock, priced at around $0.76/GB.